Recently I had this patient planning for a climb at Mount Kilimanjaro. She was worried about keeping up with the 20-22 hours/day (almost full time wear) of her invisalign aligners, and also the possibility of losing them during the tough climb. The good news is that aligners really have a minimal compromise on one’s lifestyle, if any at all! Although I must add, I love my patients for being so self-motivated in their braces journey with me, even when they are having fun travelling and doing things that they love. Anyway, I got inspired by her to come up with this blog post to help our patients manage their braces and aligners better even when they are far away from home and Neo Smiles 🙂 Here are some tips for the traveller in you! This is especially so if you are travelling for longer periods of times. Sometimes my patients have to be away for a few months due to work or studies. On a case by case basis, I do give specific instructions for my patients to follow through and teach them how to monitor their own braces/aligners. In that way, there will still be progress in your treatment even while you are away. For patients wearing aligners, informing the doctor is a real must! This is so that we can issue you the needed number of aligners to last you for your trip. Do not forget to pack your toothbrush, floss, and interdental brush! 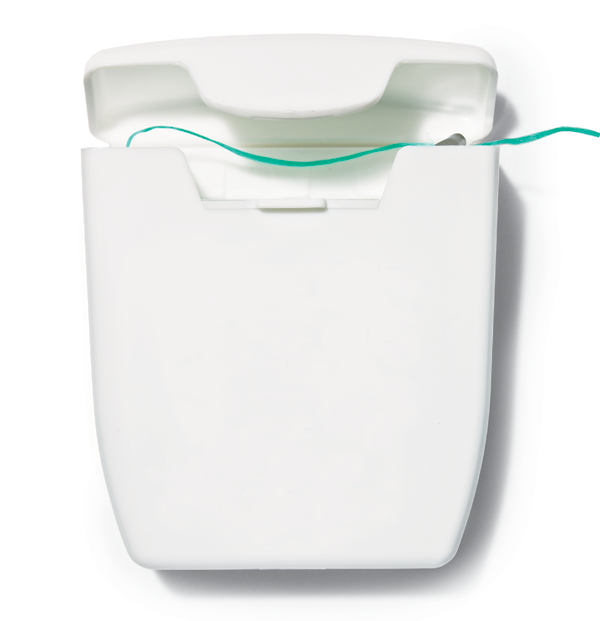 The interdental brush is a life savior for removing any food that can get stuck in your braces while you are on the go. Brushing with water alone is still better than not brushing at all to remove food debris. Of course, once you reach your destination, it is important to get a thorough clean up. Enjoy sweet and sugary splurges if you have to, but try to rinse after to reduce the pH load in your mouth. For patients with fixed braces on, it might be wise to avoid hard foods to prevent any emergencies from breaking your braces. Patients with aligners have no real issues with eating, but do not forget to place your aligners in their proper casing each time you have a snack! A gentle reminder not to wrap your aligners with tissue on the go as you might really lose them unknowingly. Seasoned patients will know, the initial soreness associated with the tightening of braces usually lasts only for the first few days to a week. You may want to schedule your dental appointment with us one week before you go for your holiday to enjoy all the good food overseas. Have a good trip guys! Who doesn’t want to have sparkling white teeth? Dental bleaching, also known as tooth whitening, is a frequent request in the field of cosmetic dentistry. Whitening brings back the tooth’s natural colour while bleaching can whiten beyond the natural colour. There are various methods available now, such as bleaching pen, brushing, and bleaching strips. Teeth whitening has become a highly requested procedure in cosmetic dentistry this day. One of the popular tools used is the whitening toothpaste. Almost all toothpaste help in removing surface stains due to the abrasives they contain. Another whitening toothpaste contains gentle chemical agents or polishing substances that provide extra stain removal power. Whitening toothpaste can indeed remove surface stains, and they do not contain bleach. Over-the-counter and professional whitening products contain carbamide peroxide or hydrogen peroxide that helps lighten the colour deep in the tooth. Whitening toothpaste can lighten the tooth’s colour by about one shade. Some unusual ones on the market right now can go beyond one tone. Besides toothpaste, we have the gels and strips as well. Whitening gels are peroxide-based gels. Apply them with a small brush directly to the teeth surfaces. Instructions need to be followed carefully depending on the peroxide’s strength. Initial results can be seen in a couple of days. The final results can usually sustain for months. Because of results as these, patients are getting their money’s worth. Whitening strips are gaunt, virtually invisible strips that are coated with a peroxide-based whitening gel. The strips are applied twice daily for 30 minutes for 14 days. Initial results are seen in a few days, and final results are sustained for about four months. Commercial whitening products for home use include rinses, gels, chewing gums, toothpaste, etc. The ADA has recently published a list of accepted over-the-counter whitening products to help citizens choose appropriate whitening products. For customised in-home whitening, the dentist will take impressions of your lower and upper teeth to make the custom mouthpieces. The mouthpiece needs to fit well to achieve a good outcome. A close fit helps the whitening agent remain in contact with your teeth and not flow out. In conclusion, you might want to consider the home whitening therapy after consultation with your dentist. Do seek a second opinion if you wish to do so as well. Asking advice from experts is vital to prevent your teeth from dentine hypersensitivity. Do speak with our friendly Neo Smiles team about getting your teeth whitened today! Generally, there is no hard and fast rule as to when it’s the best time to start braces. At Neo Smiles, the majority of our full-treatment orthodontic patients are those that have transited into full adult dentition and that the baby teeth have already exfoliated. This usually happens around the age of 10-14. There are of course exceptions. For example, if your child has a bite so severe that it causes social issues such as other children making fun of them, it may be appropriate to start them early. 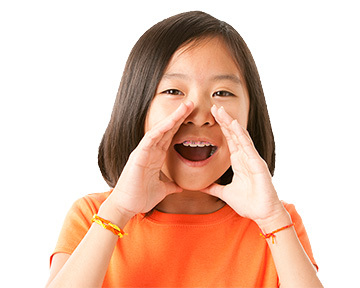 Or perhaps, if your child’s teeth are sticking out so far forward that they are in danger of being damaged during sport activities or during a fall–Early treatment can be much beneficial to them. There may also be problems in your child’s bite at a young age that causes an interference in the normal development of the adult teeth. Such cases should be corrected early as well. Some of these treatment methods may fall under the growth modification category. Growth modification is done to help the upper and lower jaws relate nicely to one another. It is done while the patient is still growing, and hence is sometimes started earlier. Growth modification may also avoid the need for jaw surgery correction in adulthood for some patients. However, just as some patients need to start treatment early, some will need to have their treatment timing delayed. Some children with certain jaw problems continue growing for a few years beyond those with normal bites. If a patient with such a growth pattern continues growing after removal of braces, they may outgrow their correction and require additional prolonged unwanted treatment. To prevent this, we will usually need to monitor these patients’ growth and start treatment only after it has stopped. This may be when the patient is at least 16 years old or older. If you are concerned about your child’s bite, but unsure as to how to go about it, we always advise that it is a good idea to bring your child early to a dentist for an assessment. I want braces! But not extractions! Do I need to extract my teeth? The good news is that not everyone requires extractions to have a nice straight set of teeth. The other good news is that even if you do require extractions, generally, it’s a small part of your braces journey. Your journey with us to help you look your best. If you are wondering anyway, here are some reasons as to why you might need extractions. Most commonly, extractions may be needed if you complain that you have crowded teeth. The degree and type of crowding will be different for everyone. In severe cases, the entire tooth/teeth can be totally blocked out of the arch. In such situations, whereby there is insufficient space in the dental arch, we may need to extract teeth to create the space needed to straighten your teeth. If you find that your teeth are sticking out, you might need extractions as well. Upper front teeth that jut out often need extractions to create the space needed for us to bring them back in. This would help to improve your facial profile and lip competence. At the same time, by bringing these teeth back in, they are also less prone to traumatic injuries from sports or accidents. Other reasons why we might indicate extractions for you could include bite correction, midline correction and improvement of your soft tissue profile. The decision-making process on whether you need extractions and what teeth to extract can be quite complex and may be different for everyone. 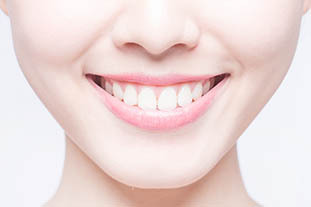 In general, the bite, midlines, amount of crowding, position of the jaws and teeth, future growth potential, sizes of the teeth, soft tissue/profile, health/condition of teeth and other factors will be studied during this process. Sounds really complicated? Rest assured, during your appointment with us at Neo Smiles, we will gather all the information needed, discuss on your particular needs and explain the best treatment plan for your case. Extractions or not, you can trust that we have the right expertise, training and experience to give you the winning smile you always wanted- and more. To find out more, call us at 6481-0800 and start your amazing smile today! All about eating with braces! Many patients are concerned about what they can or cannot eat after braces. While some foods have the potential to damage braces, most of the time, we say, go ahead and enjoy your food as you normally would! Here are some tips that you may want to keep in mind though. These would include sticky and chewy candies, caramel, and gum. Not only are these food hard to clean, they tend to be high in sugar content as well . Surely this cannot be good for your teeth! After all, sugar is well known for causing tooth decay. If you have a sweet tooth, we advise that you eat these food in moderation and only if you’re prepared to take the time to clean your braces. Use your back teeth not your front! Foods like apples, corn, ribs,and our favourite chicken wings! We hear you–No, you do not have to stop eating these foods. But rather, instead of using your front teeth to bite, you may want to cut up these foods into small bite-sized pieces and use your back teeth to enjoy these foods. Everyone has different pain thresholds but most commonly, our patients tell us that the first week is the toughest. Not to worry, it gets better– and really quickly at that too. Concerned parents may ask: What food to prepare for their children during these first few days? Well, for breakfast, how about smoothies, yoghurt or eggs? For lunch and dinner, you can consider fish, mashed potatoes, tofu and steamed vegetables. Sounds too bland for you? Perhaps, but it will be over before you even realize it. For starters, no more biting on ice cubes and using your teeth to crack crab shells! Nuts, beef jerky and popcorn are really hard foods, so cut down on those as well. Hard foods may damage and break off your braces thereby causing discomfort. Treatment wise, occasionally breaking off your braces is totally fine and very common. However, if we have to repair your braces at every one or two appointments, your treatment duration may be prolonged, and we may need to re-examine your eating habits. Why Put On Braces with us? Braces are placed to help you achieve straighter teeth, an improved bite , and a great smile! At Neo Smiles, we understand how important it is to achieve that smile. That smile that will light up any room. Many people do not like to smile,or are very conscious of how they smile due to various factors such as crooked teeth, teeth that jut out, gaps in teeth etc. Do you try to hide your mouth with your hands when you laugh out loud? We sure hope not, because you do not have to, and we can help you. We have seen how our patients change after braces treatment, how they have become so much more sociable, outspoken, and confident of themselves. Needless to say, we are just so so happy for them, and simply just honoured that we can help our patients achieve that. This gives us the passion to continue to do our very best to help you get the smile you want. We feel very strongly about this and we sincerely hope you choose us. Who likes pain? Unfortunately, some discomfort may be inevitable. This happens when your teeth are moving away from a crooked position, some “soreness” may be felt. The degree of discomfort varies as everyone has different pain thresholds. Some might not even feel anything! However, the good news is that everyone will actually get used to it. And by your next appointment with us, you would already have seen some improvement in your teeth! If you ask us, we say it’s all worth it! Cleaning your teeth with braces on is simple. And there are many tools to help you as well. Our friendly nurses will teach you how to clean after initial placement of braces. By the way, putting on braces doesn’t make you any different from other people as well! You can and should definitely go for regular scaling appointments to get rid of the accumulated hardened tartar deposits on your teeth! It is best to avoid eating hard food like crunching on apples with your front teeth and biting on ice cubes! This is to protect your braces from breaking. Initially, your teeth may feel sore , so you may be able to manage only softer diet like porridge, eggs and fish. Once you get used to your braces, go ahead to eat normally. Braces are meant to be fun and happy, so please do not compromise your lifestyle just because you have braces. Nowadays, there’s really no age limit to putting on braces. We are seeing more and more adults putting on braces and to be honest..why not? It’s never too late to improve your smile after all. Of course, we understand that metal braces may not be to everyone’s liking, especially when one is involved in the service line. In such situations, metal braces may not be suitable for you. Thank goodness we have other alternatives. 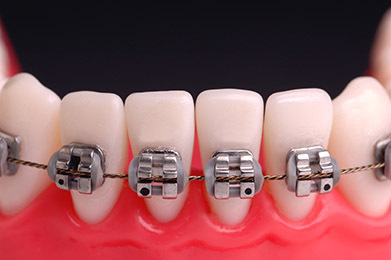 Ceramic braces offer the same predictability as metal braces and are much less obvious. Many adults with us choose ceramic braces for that reason. Otherwise, clear aligners are very popular nowadays too. They offer much convenience and superior aesthetics compared to traditional braces. Tell me more about clear aligners! Clear aligners like Invisalign and MBrace are custom-made trays designed to fit over your teeth and move them. Every two weeks, you are required to change to a new set of aligners which will incorporate new changes in the movement of the teeth. This will go on until we attain the desired bite and alignment. They are removable and that means you can enjoy your food braces-free and clean your teeth more effectively. An important event coming up? No worries, just remove the aligners for that few hours, or wear them still as they are almost invisible! Clear aligners are not suitable for all cases though, so do come by and let us advise you on which is the best option for you. So why don’t you book an appointment with us today to see how you can get that perfect smile? Neo Smiles was founded so that more people can enjoy better smiles at affordable prices, with top-of-the-line specialist treatment. Located in the heartland of Bedok Town Centre, getting specialist braces treatment is now affordable, convenience, and enjoyable. To allow more people to enjoy a fuss-free beautiful smile, Neo Smiles offers a specialist braces consultation. The consultation will help you understand the improvement you will have with braces treatment, the difference between a specialist versus general dentist treatment, the wide variety of treatment types available, and the affordable prices for dental treatment. Call 6481-0800 today to book your braces consultation today! 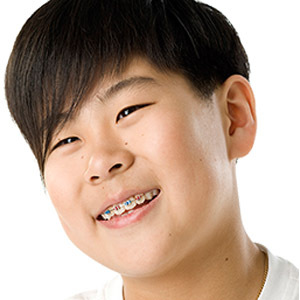 Here are several myths and questions often asked by patients considering orthodontic treat. 1. Am I too old for Braces? For those who think they are too old, these days, 20 – 25% or more orthodontic patients are adults, and more than half of those are women. There are now a variety of orthodontic treatments designed specially for adult patients. 2. Why an Orthodontist over a family dentist? Orthodontists go through several additional years of training to be able to have necessary knowledge, skills and expertise to diagnose and treat an orthodontic problem correctly. Family dentists may not have the experience required to diagnose anything more than the simplest of cases. That may be true in the past, but these days, with ceramic brackets and clear aligners (e.g. Invisalign, Mbrace), braces are now nearly invisible and can be worn in all business settings without affecting your appearance or your speech. You don’t have to floss ALL of your teeth…. Just the ones you want to keep!